The concept of a whole movie done entirely from a computer screen is not a new one. 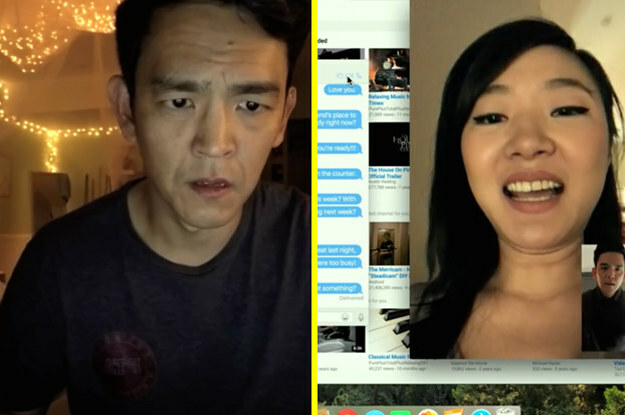 Although not loved by many, I enjoyed the horror movie Unfriended which used the same storytelling device that Searching uses. Searching is not a horror film though. It does portray the horror of a parent searching for their missing child and it is in this which the computer-framed device is used so well. 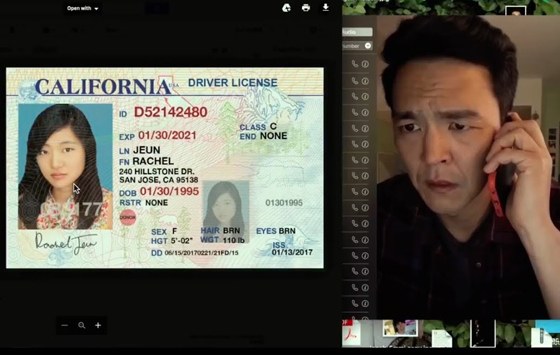 John Cho plays the father, who through events all computer based, discovers that his daughter is missing. Feared run-away or worse, Cho gets in touch with the police who begin their investigation but instruct the desperate father to help them by looking into anything his daughter may have been hiding. Que some clever account hacking and the unfolding of a mystery which will keep you hooked from beginning to end. Searching would live or die on it’s mystery and the revelations. Those revelations all had to be computer-based though which is where the storytelling device is used so well. For starters, and it may seem like a small thing but it makes a huge differences, Searching uses actual, real-life providers. No random search engines, fake You-Tube or rip-off Facebook. Searching uses them all to tell this story and that authenticity makes a huge difference as the story unfolds. It is also used in a very clever way. None of the investigative leaps feel too contrived. Each clue leads naturally to another and the ways in which each part of the missing daughter’s internet history begins to link, unfold and then in some cases seemingly stop-dead are all developed fantastically. Just like a traditional missing persons mystery, there are red-herrings, call-backs and subtle hints which make the audience feel like they are working it out at the same time that the father is. As the father, Cho is great. This is a dramatic performance and he is never too far from the web-cam in the corner of the screen. He plays the desperate parents very realistically and even as events begin to get slightly strange and stretched around him, he never gives into the scenery-chewing potential his performance could have had. That credibility does get stretched quite thin some cases. You have to suspend your disbelief as to how much people actually live on their computers and what is stored there. Everything from phone numbers through to clear descriptions of his daughter’s friends; there are moments when you realise that this story-telling device does have it’s limitations and that not everything could be done the way Searching would have you believe it is. Luckily, the mystery is so good that you easily look past these moments. These kind of mysteries live and die on their conclusions and outcomes though and Searching delivers. You will be shocked, aghast and satisfied. It manages to keep you close enough to the mystery for it to be believable without ever letting you work it out completely. A real skill. Overall, Searching is a very unique way to tell a missing person story. 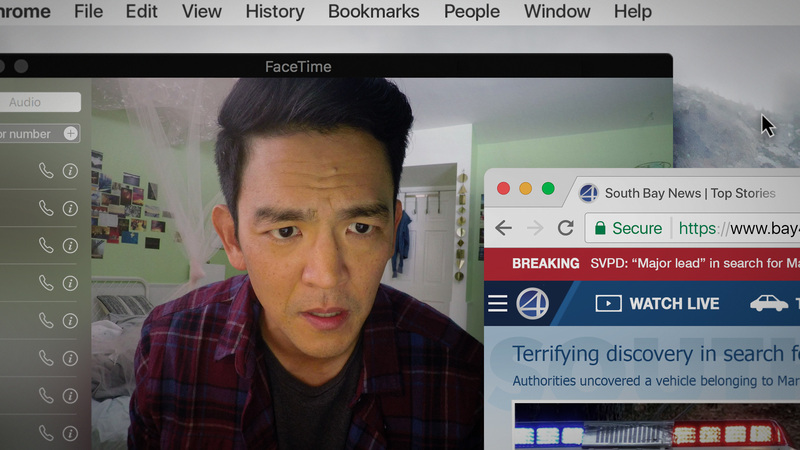 It has a great performance from John Cho, some ingenious uses for the popular internet services and a conclusion which will keep you hooked to the very end.